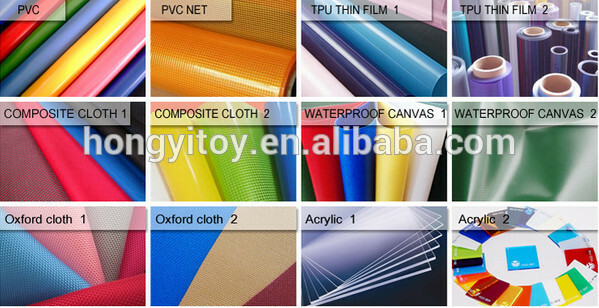 Top quality Dgital pringting and UV printing. - UV printing machine will make our inflatable items reach a higher level, printing on the inflatables, the color will be brighter and more tridimensional . Even colorfast being scratched. 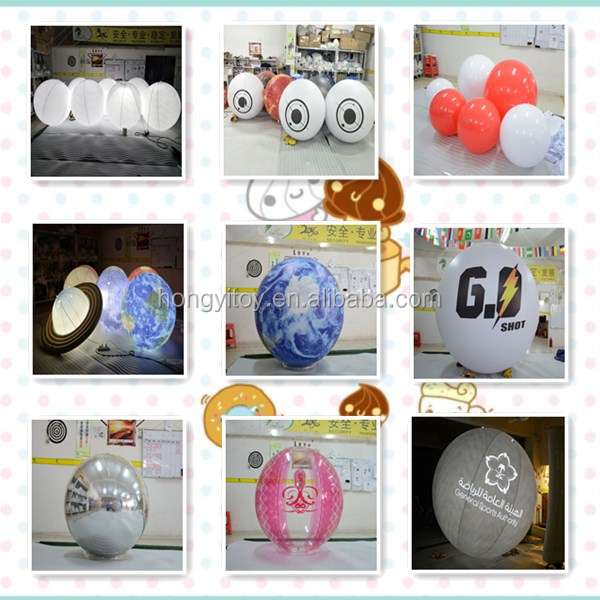 - We use special Custom PVC Material, best quality, it can be waterproof and even fireproof, best light transmittance, make our inflatables more beautiful. 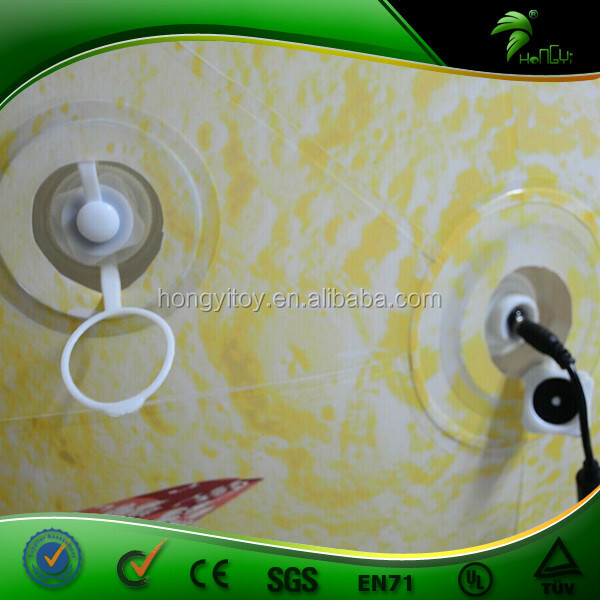 -Material we used is SGS/ EN 71 Tested water / fire /UV proof. 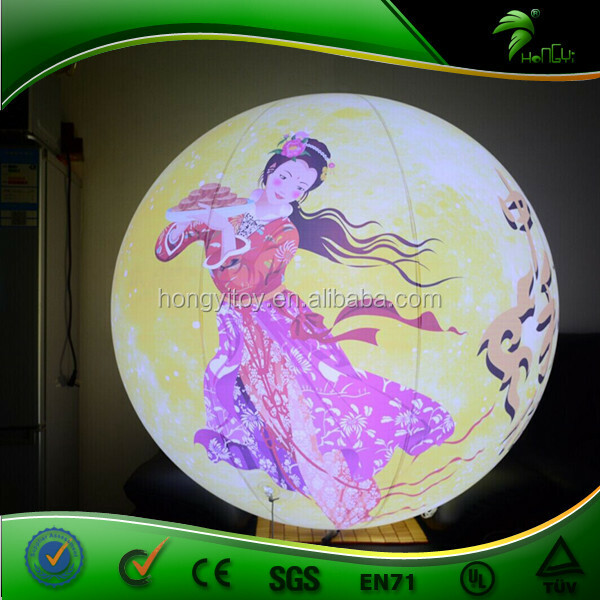 Environment-friendly materials ,safety, durable, and do no harm to human body. Various fashional and special designs for your choice. 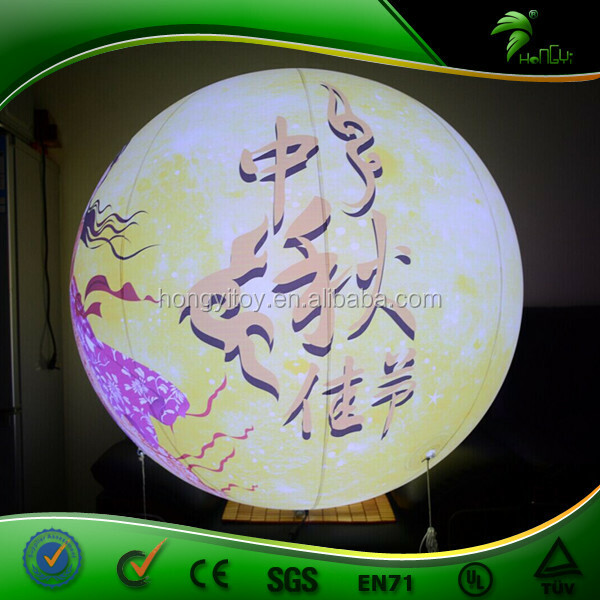 - Our professional design team can customize the special product for you including color, size, shape, material and logo. Even you can custom your unique character. 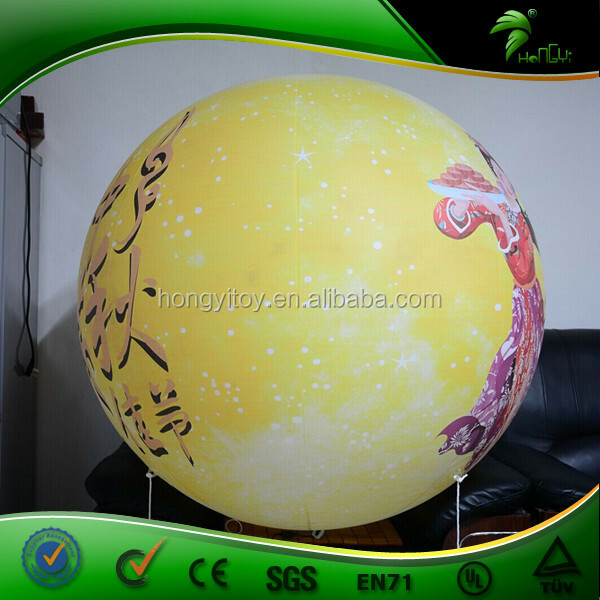 - In order to deliver the goods quicklier to our customers , so we are cooperate with several shipping companies, we can ship by sea, by express and by air.